James Fisher Defence (JFD) was awarded a multi-million pound contract for the design and construction of an advanced Deep Search and Rescue Vehicle (DSRV), as part of a comprehensive submarine rescue capability being provided to the Republic of Korea Navy (RoKN). The contract, awarded by South Korean shipbuilder Daewoo Shipbuilding and Marine Engineering (DSME), will ensure the provision of an advanced and highly capable submarine rescue vehicle to the South Korean Navy. Following the recent contract award to DSME for the construction of a new auxiliary submarine rescue ship (ASR-II) for the RoKN, JFD will design and build a DSRV bespoke to the requirements of the customer that will enhance the operational capabilities of its submarine rescue service. Once in operation, the DSRV will be launched and recovered from the submarine rescue vessel via a ‘moonpool’, through which the DSRV will be deployed to rescue the crews of distressed submarines at depths of up to 500m, and in waves as tall as four metres. This method of launch and recovery minimises the impact of weather and sea states on the ability to operate the DSRV, maximising the chances of a successful submarine rescue operation, further safeguarding the lives of submariners. JFD has extensive experience in launch and recovery via a ‘moonpool’ through its years of delivering advanced saturation diving systems and diving bells using this method. Due to be delivered to the customer in 2021, the DSRV will undergo a comprehensive series of tests and trials including factory, harbour and sea acceptance trials, before entering operational service. JFD said the DSRV is designed to maximise battery capacity and operational endurance, increasing the chances of a successful rescue operation. This also ensures minimal time is spent recharging the vehicle’s batteries, ensuring the DSRV can be deployed quickly in the event of an incident. JFD employed its extensive experience from the development of its multiple advanced submarine rescue systems currently in operation around the world, in order to optimise the design to meet the bespoke requirements of the RoKN. 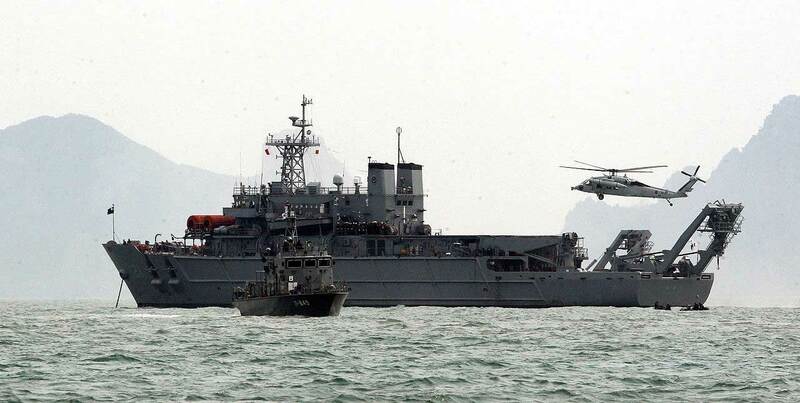 The RoKN currently operates a multipurpose submarine rescue ship — the 103 m long, 4,300-tonne RoKS Cheonghaejin. Once in operation, the new ASR-II vessel will replace the current Cheonghaejin, which has been in operation since 1996. JFD has supported an advanced submarine rescue capability for over nine years, and following delivery of the new DSRV will continue to work with the RoKN and its partners in providing a comprehensive training and support programme that will ensure that submarine rescue operations are carried out safely and efficiently. "JFD first delivered a deep search and rescue system to the South Korean navy in 2009,” said ames Fisher and Sons CEO Nick Henry. “This additional capability further demonstrates our position of market leadership in the submarine rescue market, as well as the strong relationships that we build with our customers.The vehicle is a variation of the landmark third-generation vehicles recently delivered to the Indian Navy." In December 2018, JFD successfully delivered the second of two third-generation submarine rescue systems to the Indian Navy. The delivery of the second system represents a significant milestone in the provision of a comprehensive submarine rescue capability that will enhance safety for submariners.